catch brought in fresh by the local fishing boats. 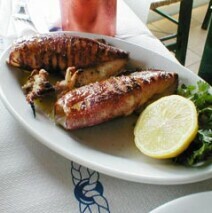 You can select your fish yourself, and we prepare it according to your desire !!! dorado, white bait, sardines, and many others. From our rich selection of seafood dishes we recommend you try….